The authorship of the famous Detti Notabili (Notable Sayings), a recognized masterpiece of 16th century Italian Spirituality, is a moot question. 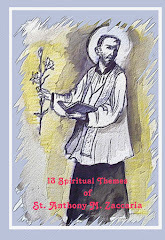 A collection of 871 sayings selected from the writings of several authors, it treats of various facets of the spiritual life. It was first published in Venice in 1538. 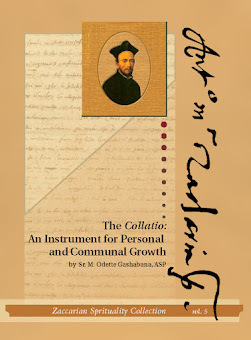 Its editor, a former Barnabite, Giovanni Paolo Folperto, describes it as a series of quotations compiled by the Reverend Father Anthony Mary Zaccaria of Cremona. First Barnabite historians, Mazenta, Tornielli, Gabuzio, did not agree with Folperto. They rejected Anthony Mary’s alleged authorship as spurious. As a matter of fact, nothing in Barnabite tradition proves Anthony Mary’s alleged authorship as authentic. On the other hand, it is historically ascertained that, even among Barnabites, a Book of Sayings was attributed to Fra Battista da Crema. In addition, Serafi no Aceti de Fermo, in his works quotes several sayings of Fra Battista, which by and large correspond to the sayings in the Detti Notabili. It must be remembered, however, that controversial Fra Battista was twice condemned by the Church for Semi-Pelagianism, in 1552 and 1564. Probably, in order to save the Detti Notabili from the same fate, Folperto changed the work’s title and ascribed it to unassailable Anthony Mary. 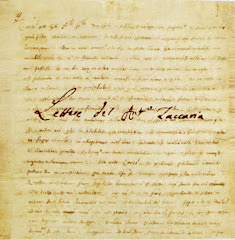 Afterwards, no one doubted Anthony Mary’s paternity of his work, beginning with the first published history of the Barnabite Order by Father Anacleto Secco (1682). It was only in the 1930’s that Dominican Father Innocenzo Colosio reclaimed Fra Battista’s paternity of Detti Notabili. However, a compilation such as Detti Notabili hardly fi ts Fra Battista’s modus operandi. He preferred to write treatises. On the other hand, Anthony Mary liked to collect aphorisms. Typically, as we have seen, in his university notebook, he wrote down philosophical quotations. Some suggest that, after Fra Battista’s death, Anthony Mary extrapolated quotations from his works and arranged them thematically. However, others hold that, both in style and content, these sayings are entirely original.